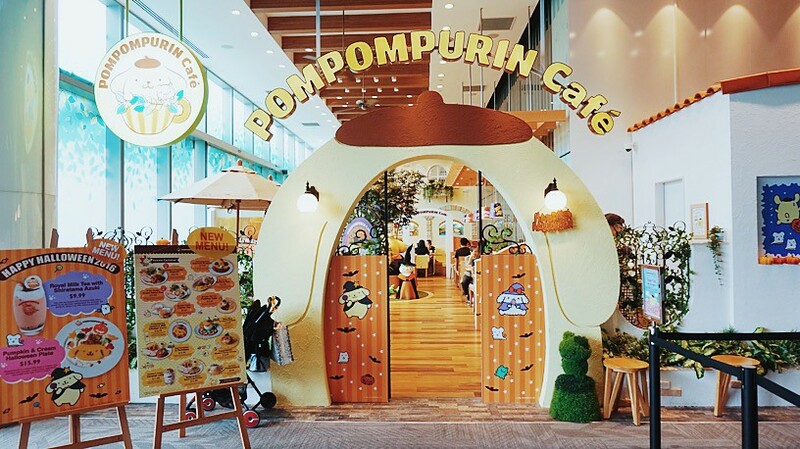 The cafe has a cute garden concept and is cheery yellow at every corner! 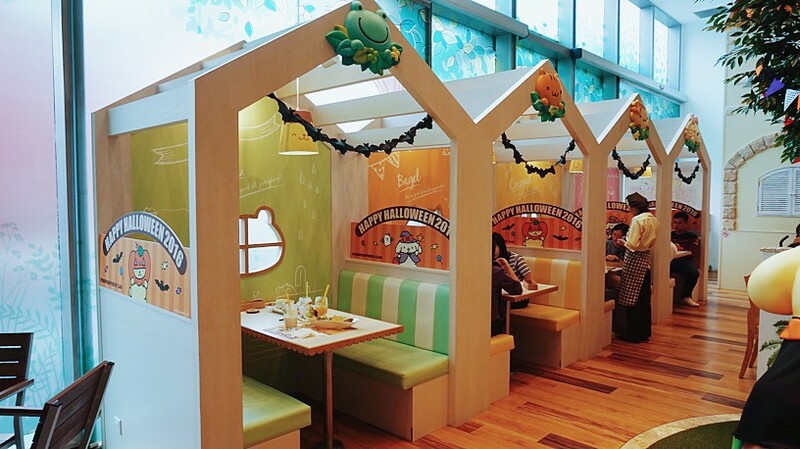 Most diners are families with little kids. 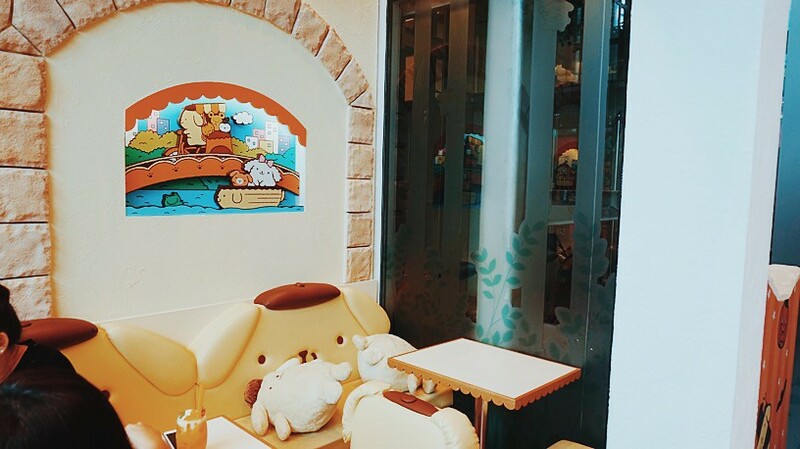 It's definitely a nice place to bring young children to dine at! 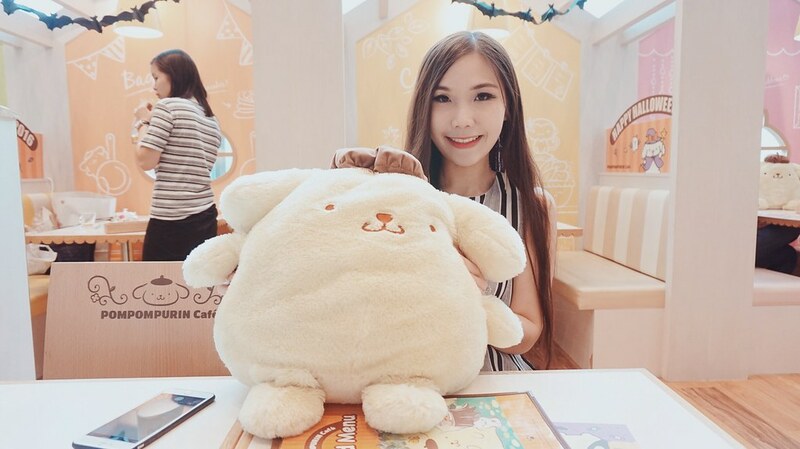 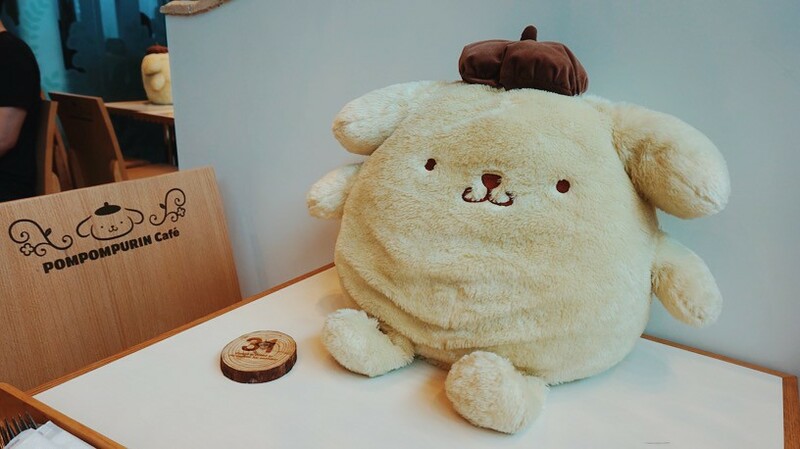 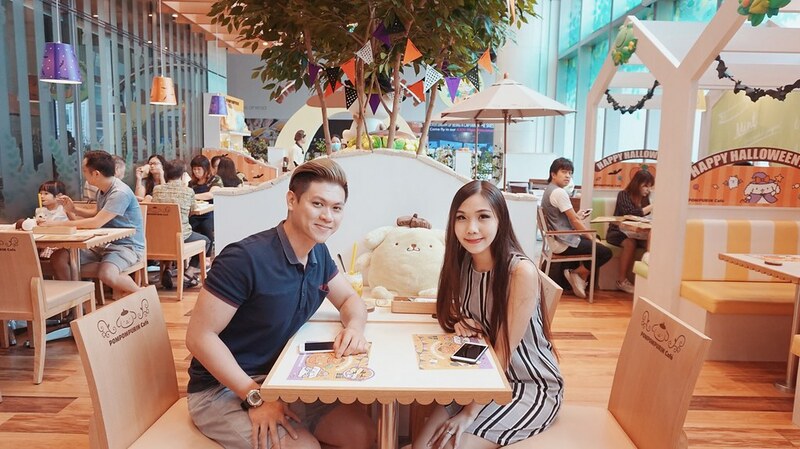 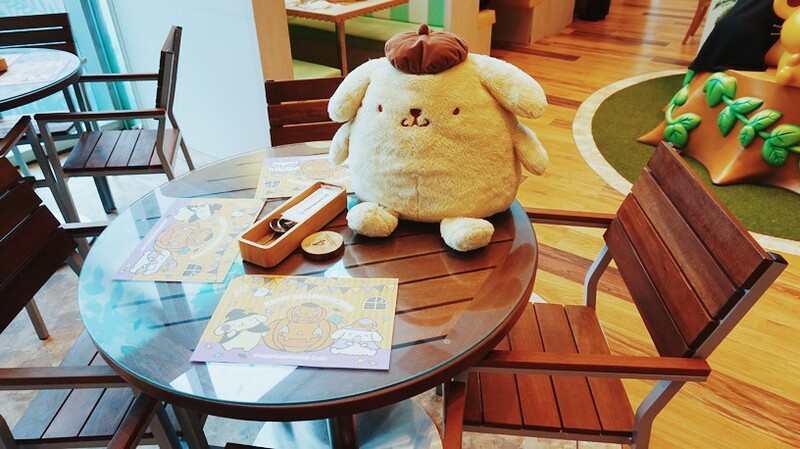 A Pompompurin plushie on every table. 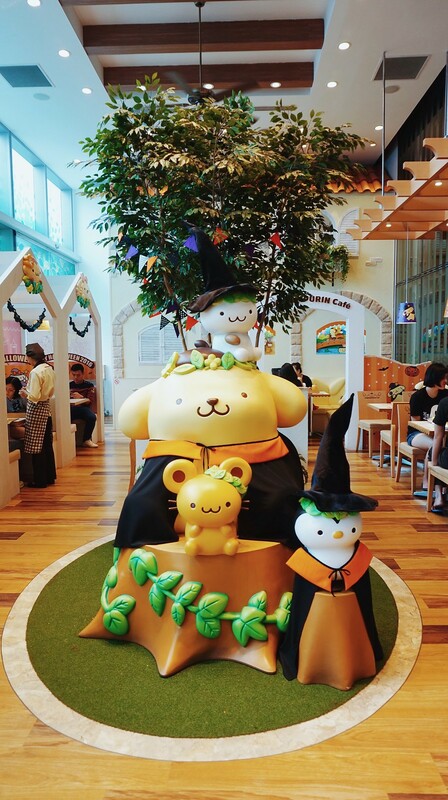 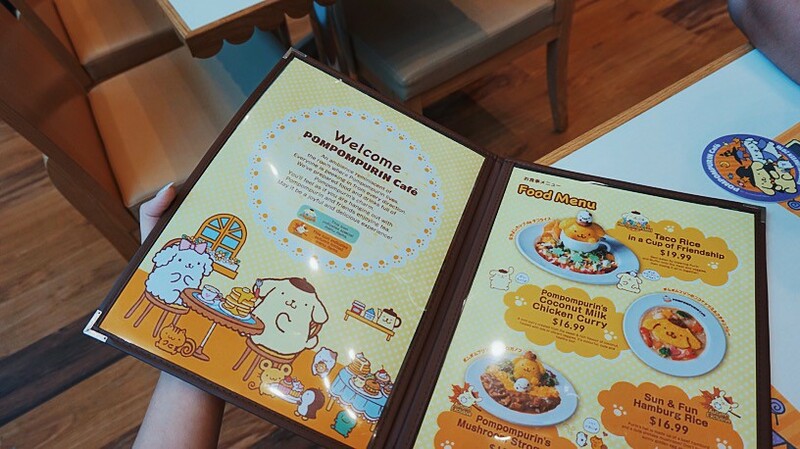 The menu selections were quite limited but like most character cafes, the presentation is extremely cute and sure to brighten the day of anyone! 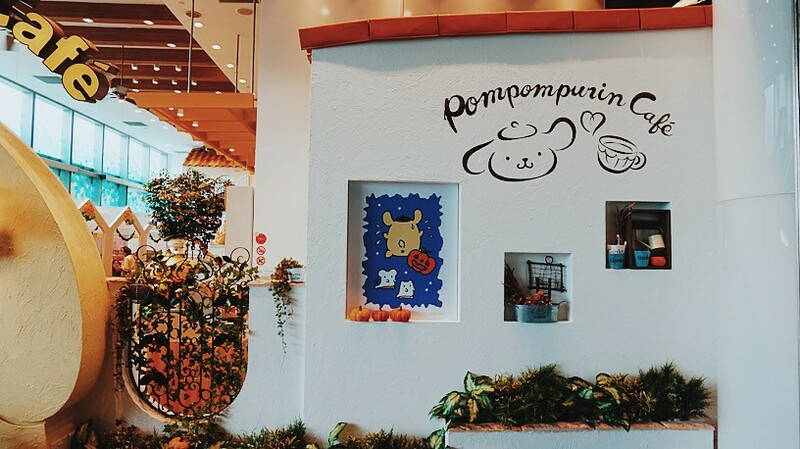 Certain dishes come with a free pompompurin mug to bring home too! 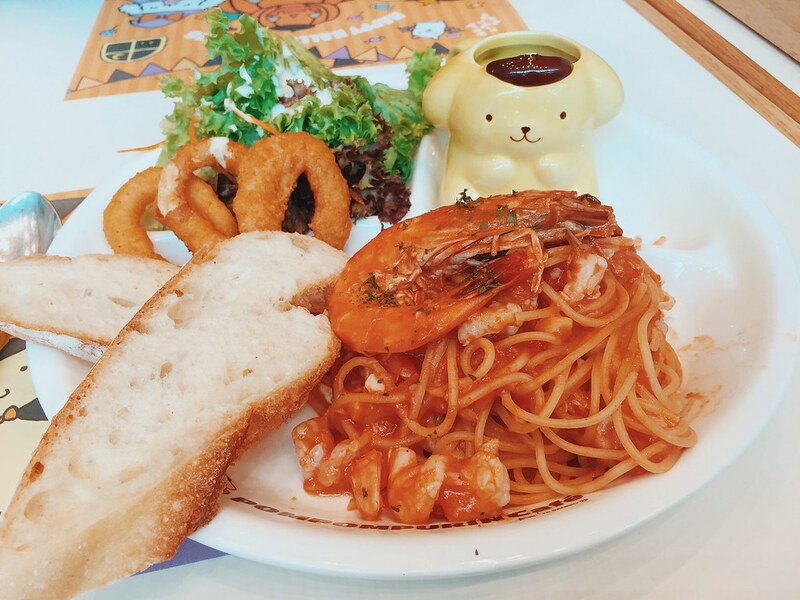 I ordered pasta and it came with a generous serving of peeled prawn pieces. 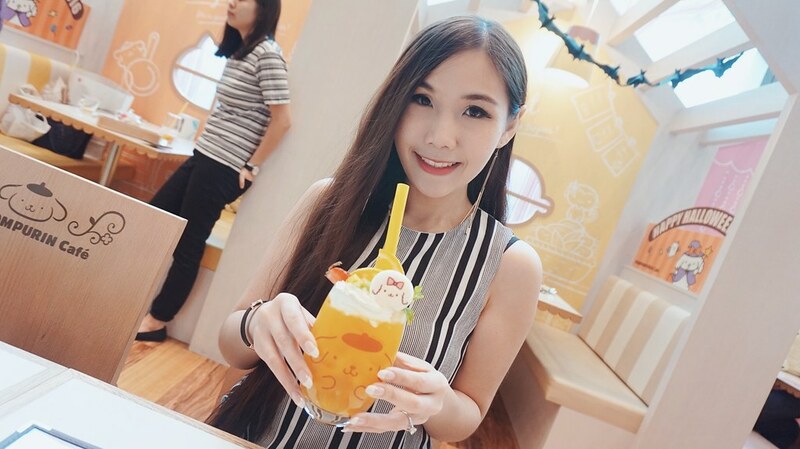 I was surprised that it actually tasted good. 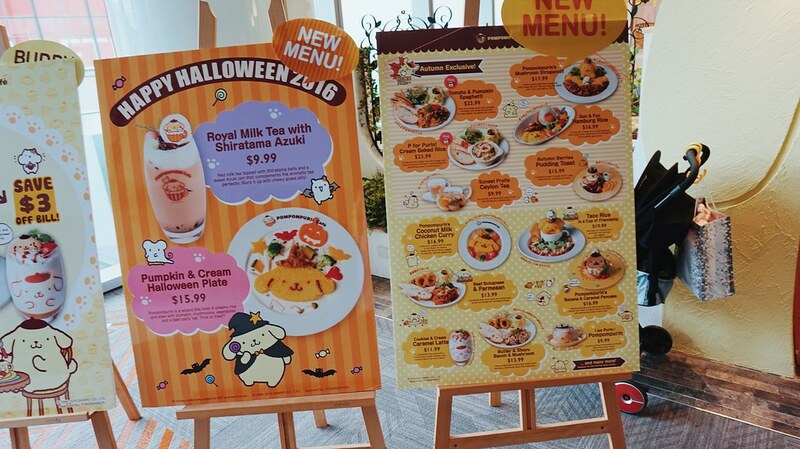 I was expecting the food to be meh because most character cafes have horrible food. 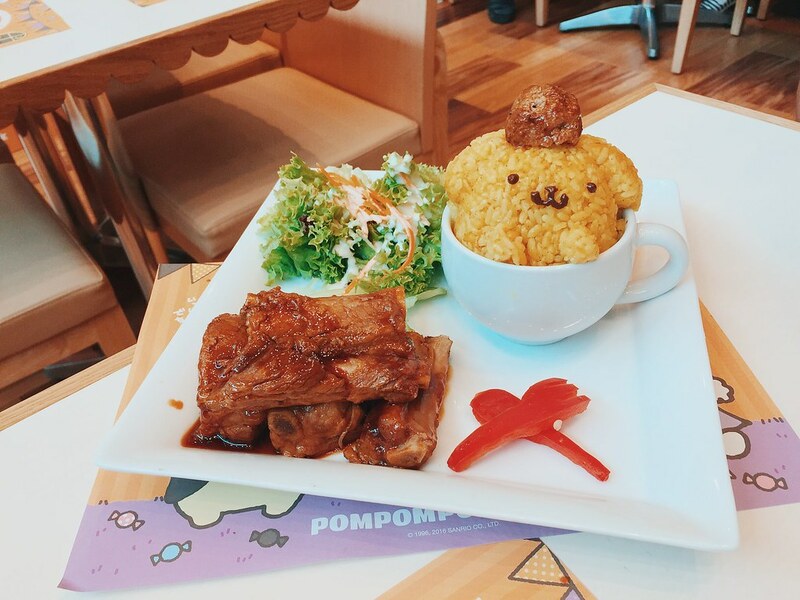 Bf had ribs and it came with a cute Pompompurin rice ball in a cup. 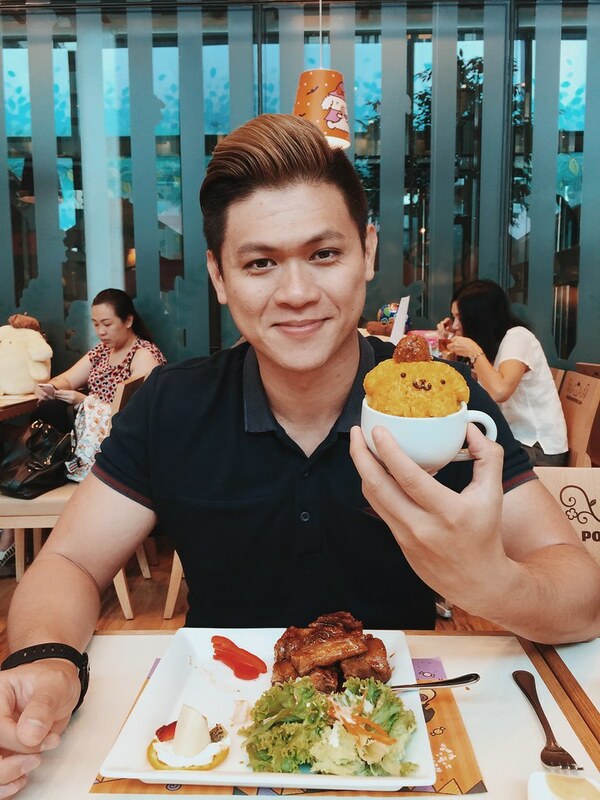 The ribs were tender but the rice was tasteless. 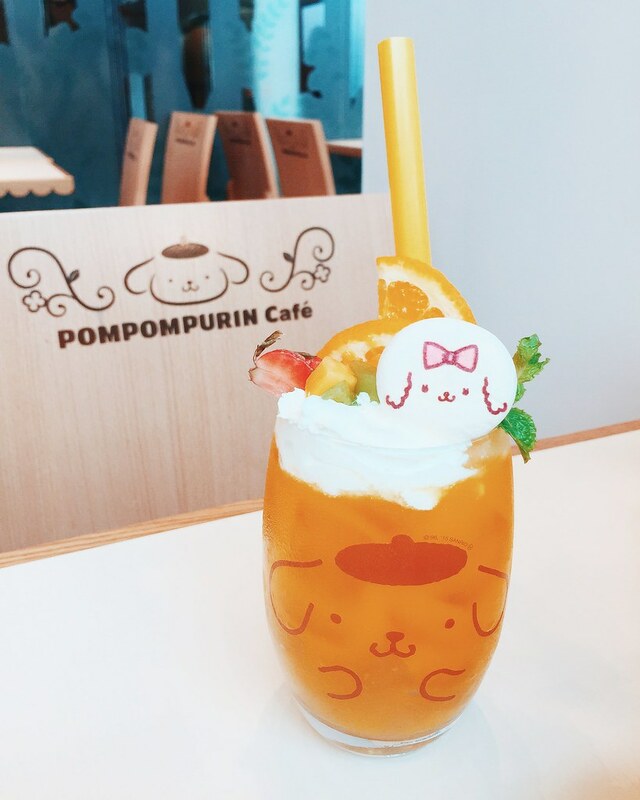 Also ordered this cute fruity mango drink. 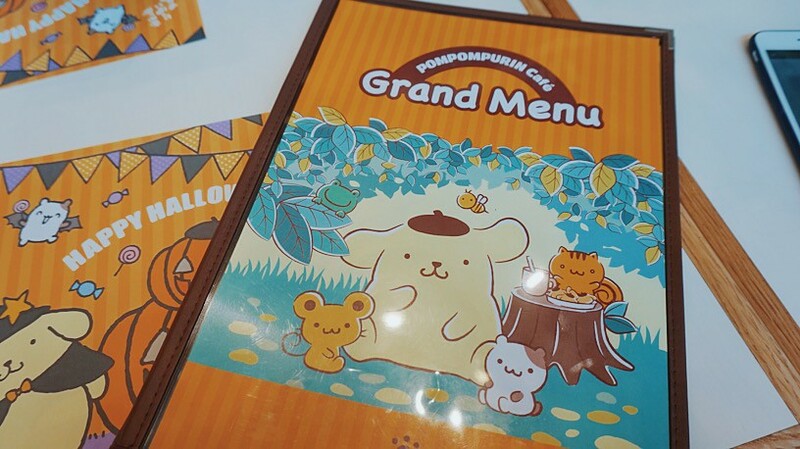 It was an enjoyable meal! 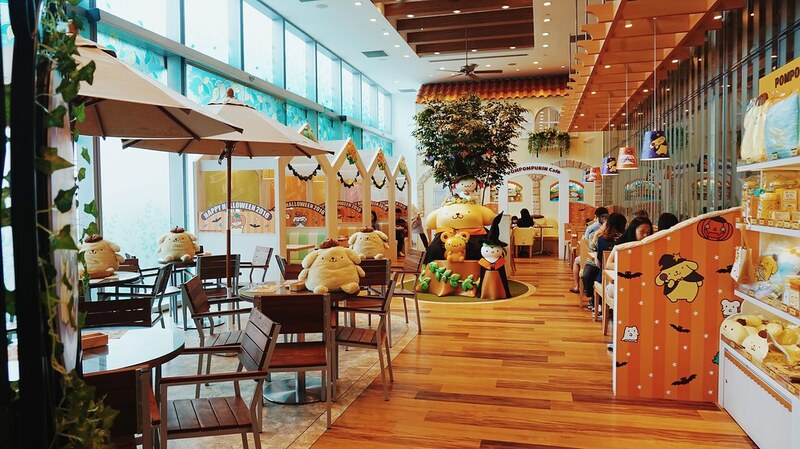 Would recommend parents to bring their kids here for family day!